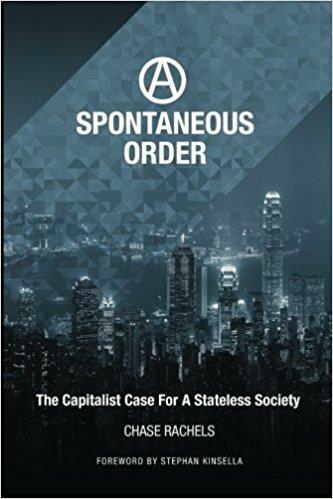 A Spontaneous Order The Capitalist Case for a Stateless Society | Free eBooks Download - EBOOKEE! A Spontaneous Order: The Capitalist Case for a Stateless Society is an astonishingly concise, rigorous, and accessible presentation of anarcho-capitalist ideals. It covers a wide range of topics including: Money and Banking, Monopolies and Cartels, Insurance, Health Care, Law, Security, Poverty, Education, Environmentalism, and more! To enjoy this compelling read requires no previous political, philosophical, or economic knowledge as all uncommon concepts are defined and explained in a simple yet uncompromising manner. Take heed, this work is liable to cause radical paradigm shifts in your understanding of both the State and Free Market. No comments for "A Spontaneous Order The Capitalist Case for a Stateless Society".